Moth damage is a very common damage to rugs. 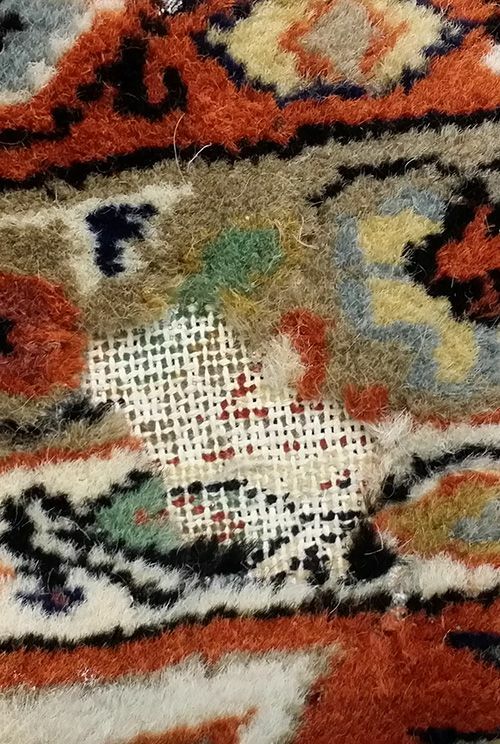 In our day to day business, many rugs brought to us for a different reason and after a close examination we learn the extend of Moth damage to the Rug. In other words, this is a major damage to your rugs that simply can be prevented by examining your Rugs regularly. A good rule of thumb is to have your rugs rugs professionally cleaned at least once a year. This helps improve the longevity of the rug and also aides in the removal of moths, carpet beetles and silver fish. Those pests love dirty and dusty wool rugs. If damage has already been done, repairs such as reweaving or latexing may be necessary. 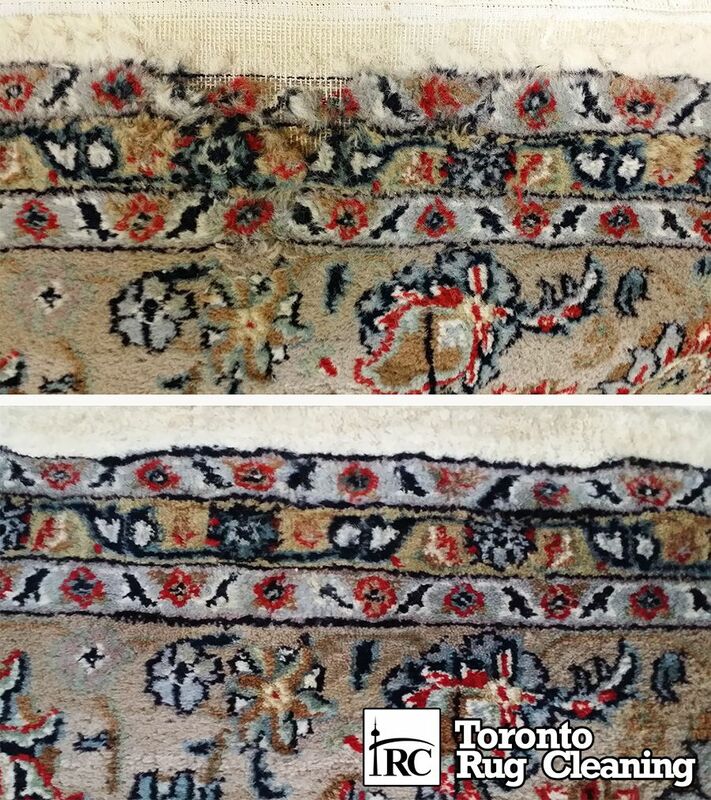 Often our artisans will be able to use Oriental rug fragments that will make the rug whole again. Moth damage is repairable however it is a highly specialized task. The process of repair starts by making the foundation of the rug by making warps (vertical threads) and wefts (horizontal threads) and then knots around two warps. In our business only our master repair personnel have the knowledge and expertise to do the weave match while considering the same knot technique of entire rug. Matching color of the new weave and matching the design is another delicate part of the repair. It is consider an art by itself to repair a moth damaged rug and very few mastered this technique. 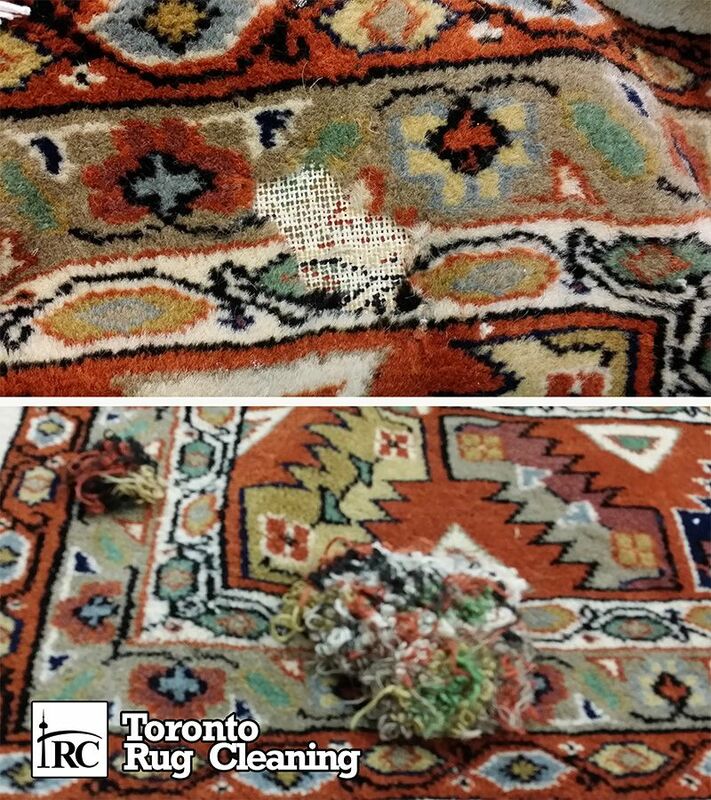 That is the reason we recommend cleaning of rugs professionally at least once a year. This in fact is an investment on your valuable rugs to preserve them for a long time. 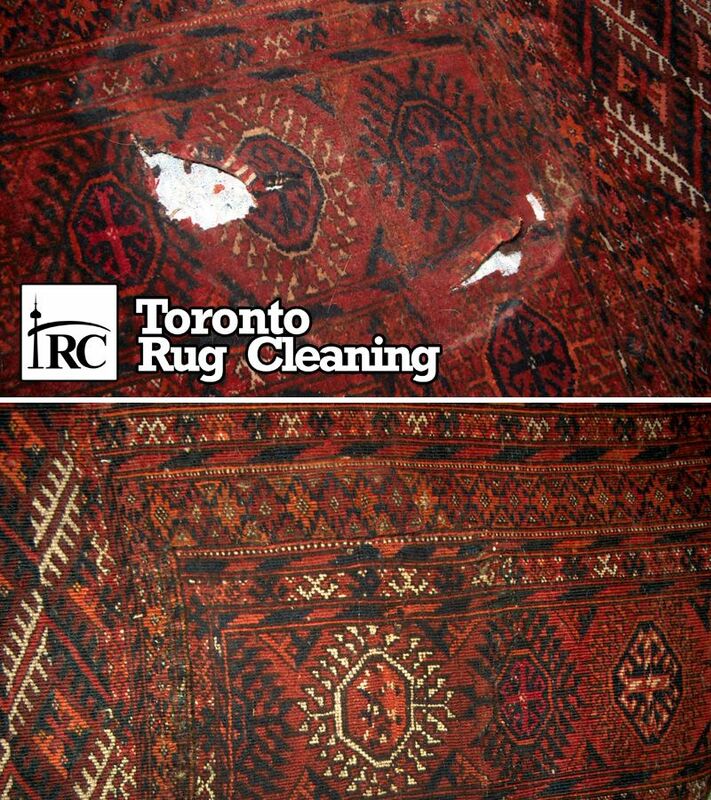 We offer complete moth proofing services for your Persian & Oriental rugs. 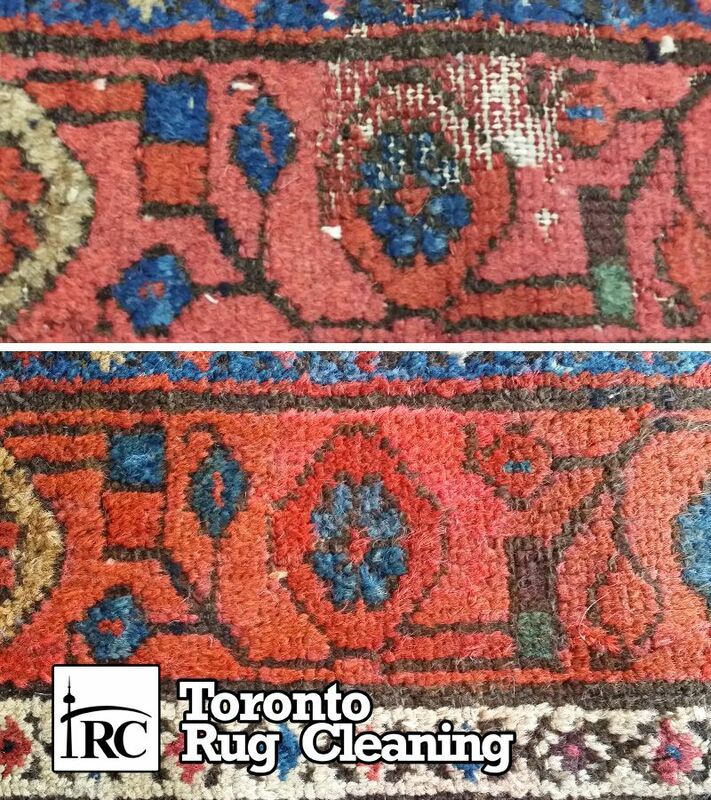 This is usually best done after we properly clean your rugs in order to eliminate any infestation of moths, carpet beetles or silverfish. 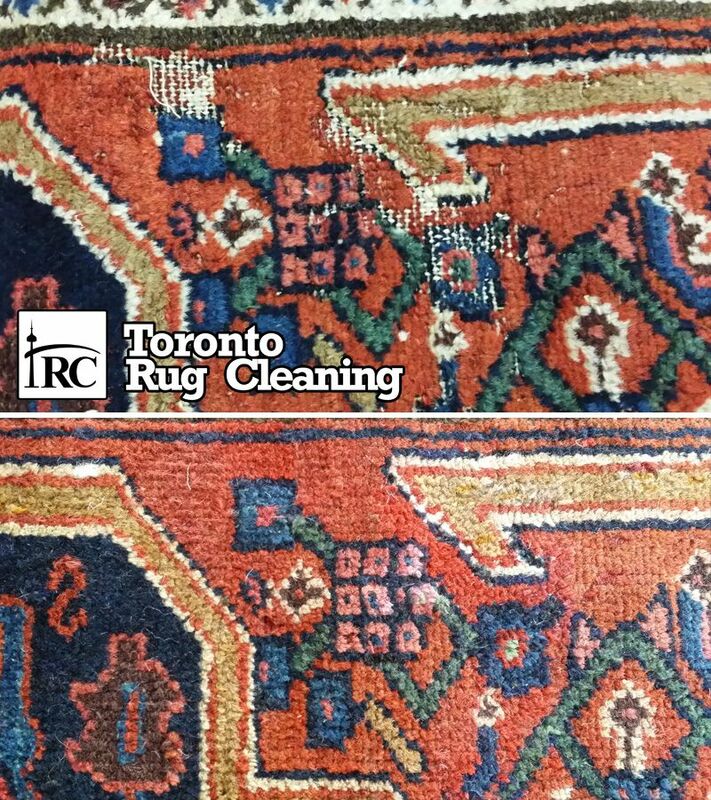 Upon completion of cleaning your rugs, we can apply a mothproofing that is effective in the prevention of insect damage to your rug.